SALE — Want to SAVE UP TO 50% OFF YOUR PURCHASE TODAY? Select styles have been marked 20% to 50% off. LIMITED QUANTITIES WON’T LAST LONG! TODAY ONLY! 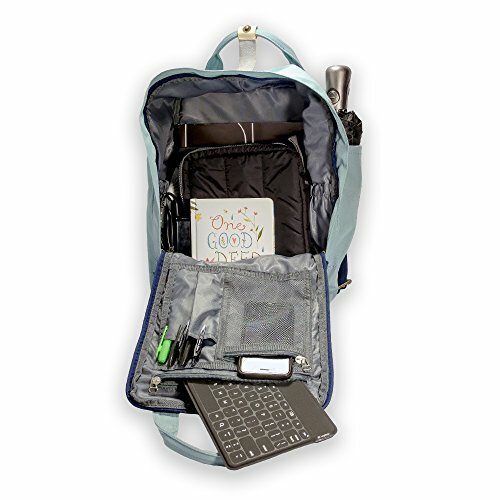 PADDED LAPTOP SLEEVE – Laptop compartment fits laptops up to 15.6 inches! 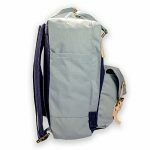 ERGONOMIC DESIGN – Dual padded, reinforced, adjustable shoulder straps provide optimum comfort and fit snuggly around your shoulders allowing for easy wear by Kindergarten children, teenagers, on up to adult men and women. 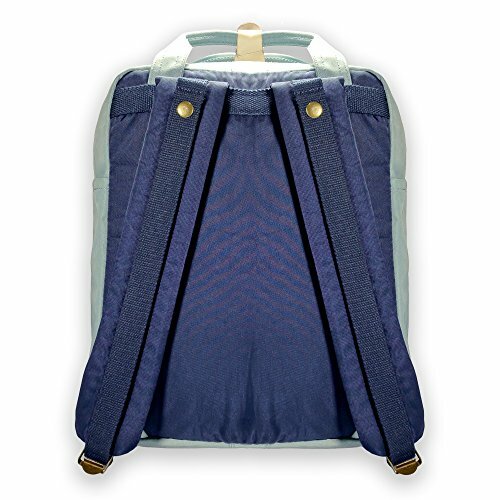 No more back pain from the uneven messenger bag or briefcase. 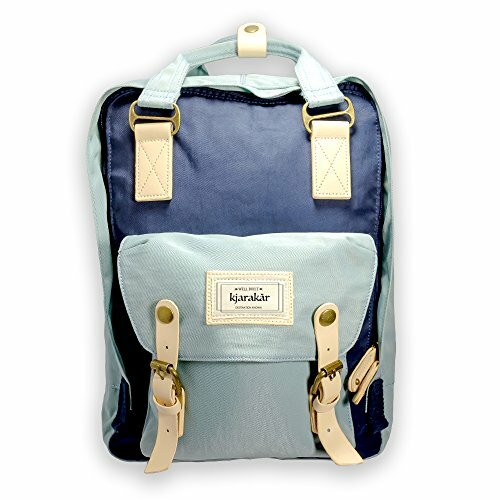 The Kjarakär Vintage Laptop Backpack is a lightweight, yet durable fashion backpack that all ages will enjoy. 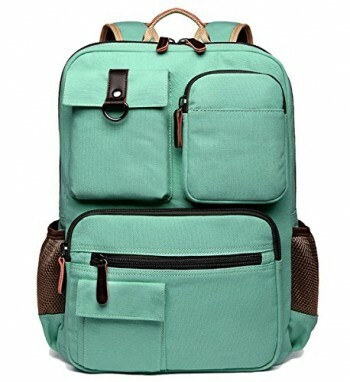 Superior quality: Water and abrasion resistant. 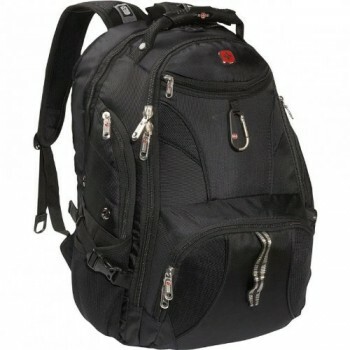 Double stitched straps, heavy duty metal buckles and strong zipper. 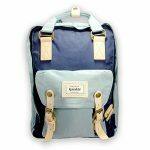 Materials: Nylon exterior & high grade soft genuine leather trim. Durable and fade resistant. Pockets & Organization: Main compartment with double-zipper closure; multi-interior pockets for cell phone, chargers, pens, papers; Interior water bottle or umbrella pockets on each side or use for computer charging cords. 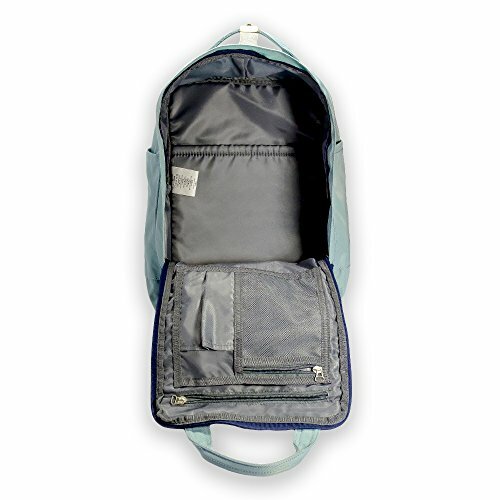 Interior padded pocket ideal for your laptop or tablet (up to 15″ laptop). 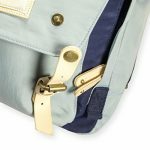 -Two exterior pockets perfect for your umbrella, water bottle or sunscreen. Versatility: Large main compartment holds school books, magazines, coloring books, notebook, diaper bag items, lunch box and more. 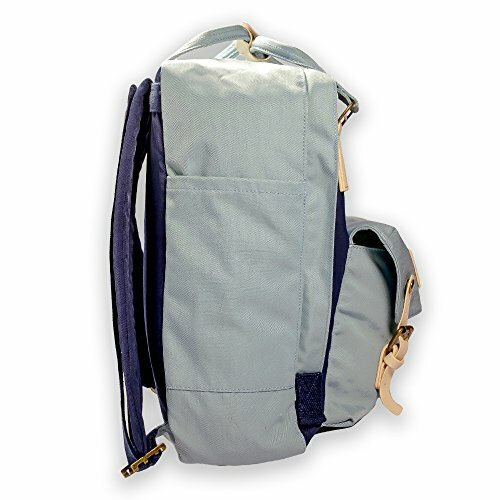 – Adjustable padded shoulder straps to fit all body types. 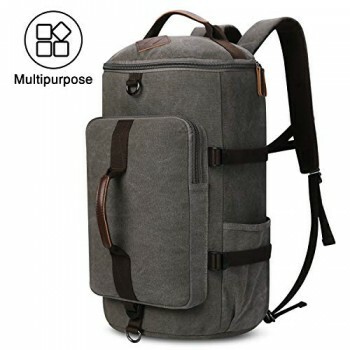 – Water resistant material to protect your valuables. No need for a rain cover. 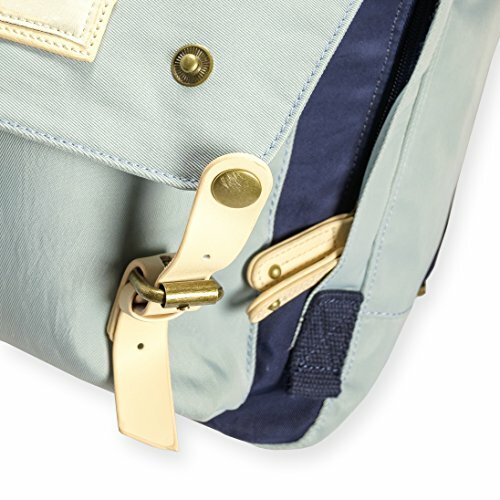 Click the “Add to Cart” Button above to start your adventure TODAY! We know you’ll love it or your money-back. WATER RESISTANT – No need for a rain cover, Nylon keeps your items dry if caught by the rain, plus two outer pockets are deep enough to hold your travel umbrella. 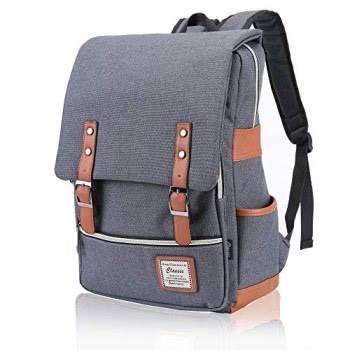 SUITABLE FOR ALL PEOPLE AND OCCASIONS – This fashionable and stylish vintage backpack is suitable for school, work, shopping, traveling, backpacking and as a diaper bag. 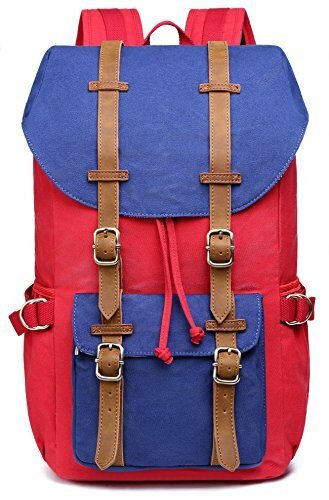 Unisex styling perfect backpack for teen girls, backpack for boys, backpack for women, backpack for men, business backpack, backpack for work and backpack for college. 100% MONEY-BACK GUARANTEE. Don’t like it? free returns. Get your money back. No questions asked. Buy more then one and save big! see our discounts below.